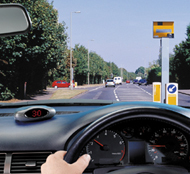 The Cyclops GPS based speed camera warning system, provides you with advanced warnings of up to 800 metres to all 'fixed' speed camera locations and all known 'mobile' laser and mobile safety camera sites. Cyclops then displays the maximum speed limit for the road. Cyclops provides this visually via a large clear LED text display and audibly via an audio speaker. Ensuring that you the driver has all the information you need to approach the camera/accident blackspot with full concentration. The Cyclops display can also be set to display either a constant GPS speedometer, displaying your vehicles speed. Alternately the Cyclops can display your vehicles heading i.e. SE (South East). ‣800 metre early warning ahead of accident hotspots. ‣Speed Limit display at every location. ‣Overspeed warning on approach to camera. ‣Warnings to Gatso, Truvelo, SPECS, mobile traps and accident blackspot locations. ‣Advanced warnings from 800 metres. ‣Clearly displays the maximum speed limit, via large LED display. ‣Clear audio and visual alerts, with adjustable audio alert. ‣Overspeed mode - provides a continuous audio alert on approaching a camera over the speed limit. ‣Vehicle heading displayed i.e. 'SE' (South East). ‣Easy to install and use in multiple vehicles. ‣Free subscription for 12-months, subsequent yearly charge. Overspeed warnings - enabling this mode delivers a continuous tone alert when driving over the known speed limit within 200yards of a fixed or mobile speed camera location. Limiter mode - the Cyclops is also equipped with a user selectable speed limiter setting. Cyclops can be programmed to alert you to any pre-determined speed you choose i.e. 60mph. 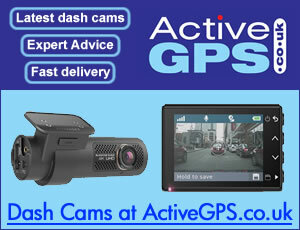 Acting as a constant reminder of your current speed, and avoiding speed creep. Updates for your Cyclops - Driver Safety System are free of charge for the first year, subject to a local call rate. With an annual subscription thereafter of £45 for one year, two years at £79 and for a lifetime subscription the cost is £99. The CD-ROM packaged with the Cyclops contains easy to use software which allows the Cyclops to be updated with the latest information via the serial interface and an Internet enabled PC or Laptop. The Cyclops - Driver Safety System is one of the easiest speed camera warning system to install and transfer between vehicles. The Cyclops is supplied with a cigarette lighter adaptor and discreet hard wire kit to enable a professional DIY installation. A Velcro and non-slip mat provide options for locating the Cyclops on the vehicles dash with the satin finish casing complimenting the interior of any vehicle. ‣Power: 12 volt, cigarette lighter, hardwire cable.